A view over the Singing Sands looking north east with Carraig Fhada lighthouse on the right. A group of people just arriving having walked over from Kilnaughton. 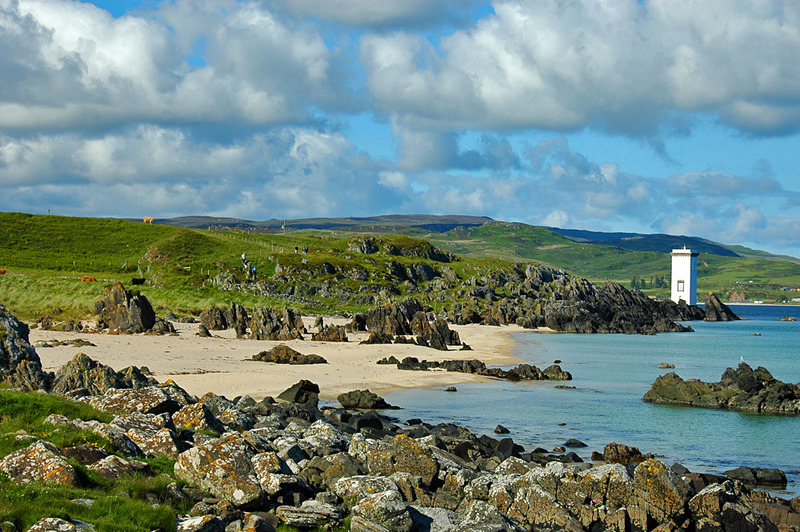 If you look closely you can also make out Port Ellen’s Ramsay Hall in the distance just to the right of the lighthouse. This entry was posted in Beaches, Cloudy Weather, Landscape, Lighthouses, Repost, Sunny Weather, Village and tagged Carraig Fhada, Islay, Port Ellen, Ramsay Hall, Singing Sands, The Oa, Traigh Bhan by Armin Grewe. Bookmark the permalink.